Have you ever wondered what would happen if you added a little extra kick to your shotgun? No, not literally. 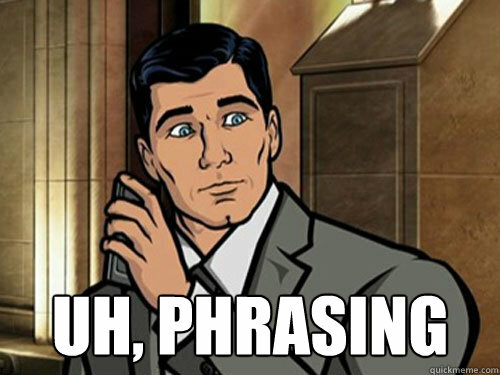 I’m talking about unconventional ammo. As a shotgun owner, you may have thought that you’ve already shot all there is to shoot – buckshot, birdshot, slugs, high brass, low brass…you know the deal. But have you ever shot a 300-foot flame from your 12 gauge? Dragon’s Breath 12-gauge round being fired from a shotgun. Today we’re going to look at different types of exotic shotgun ammo. We’ll cover some that you’ve probably already seen, as well as a few that you may not have known existed. Probably not, but you absolutely can with Flash Thunder Grenade Ammo from Firequest. These rounds don’t fire a projectile, but they do produce an intense flash of light accompanied by a 182dB sound that will disorient anyone without ear protection. While it’s hard to say whether they’re actually effective in a tactical situation, these rounds do exactly what they’re advertised to do: cause a lot of ruckuses. These rounds aren’t cheap, though. A pack of three will set you back about $18, whereas 25 of them will cost you $120. Another interesting creation from the folks over at Firequest is the Dragon’s Breath. Available for the 410, 12 gauge, and 20 gauge, this flame-throwing round really lets you push your shotgun to the limits. 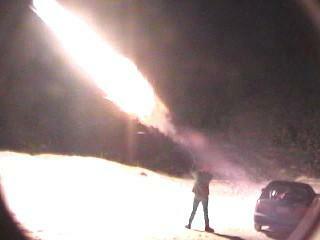 Every shell gives you a 4000 °F magnesium flame that extends anywhere from 100 to 300 feet outward. Needless to say, this one shouldn’t be fired anywhere around dry grass and trees. Watch the video below to see Dragon’s Breath go. The cost of Dragon’s Breath is similar to the Flash Thunder Grenades. It’ll cost you anywhere between five to six bucks a shell. But for a chance to shoot your very own incendiary round, why not try it at least once? If you’ve ever wanted to know what it feels like to shoot 19 tiny little darts from your 12 gauge, now you can with Sabot Ammo’s Flechette shotgun shells. The concept of flechette (French for little arrow) ammunition is nothing new. During the Vietnam War, it was also used in areas filled with thick brush. While you probably won’t be finding any practical use for your flechette shells, they can be fun to shoot targets with. The bolo round is one of the more common exotic shotgun ammo types. It’s essentially two relatively large ball bearings (0.5” each) connected by a thin metal wire. While the bolo round may not look like much, it can cause a great deal of damage to anything that it hits. 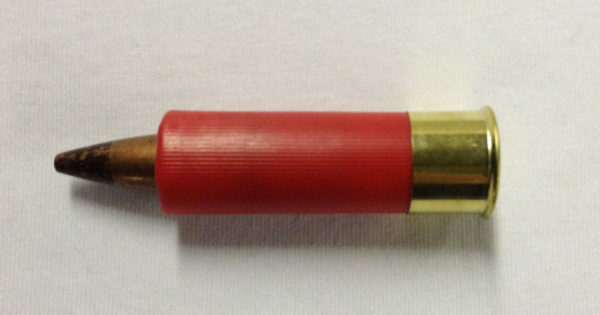 Bolo projectile (left) and bolo shotgun shell (right). 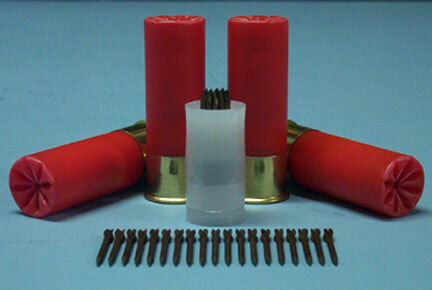 Fiocchi Rubber Buckshot ($25.99) is commonly used as anti-riot ammunition. These non-lethal rounds are similar to regular buckshot except that they have rubber ball bearings in the place of metal ones. Don’t let the name fool you. Just because rubber bullets are non-lethal doesn’t mean they won’t mess you up. 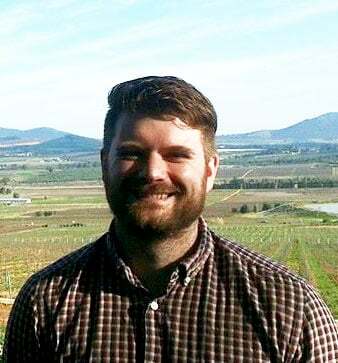 Getting shot with one will leave you with a nasty sting, and there have even been cases of people dying due to a rubber bullet shot to the head at close range. 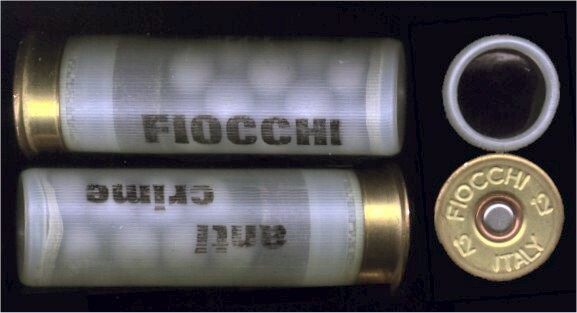 Fiocchi rubber buckshot for the 12 gauge. In terms of functionality, rubber bullets aren’t as impractical as some of the other exotic shotgun shells on the market. They can be used in a home defense situation where you needed to drive someone away without resorting to deadly force, just make sure you understand the legal implications of what you’re doing. Did you know that there’s a type of shotgun shell out there that gives you the best of all three worlds? Triple punch shotgun shells are sold under a variety of different names, but serve the same overall function – to fire a soul-crushing combination of a slug, followed by #8 shot, and finally a #4 buckshot. Triple Doom combo by Firequest. And what exactly does a slug + birdshot + buckshot combo do? Not much too different than a slug, actually. 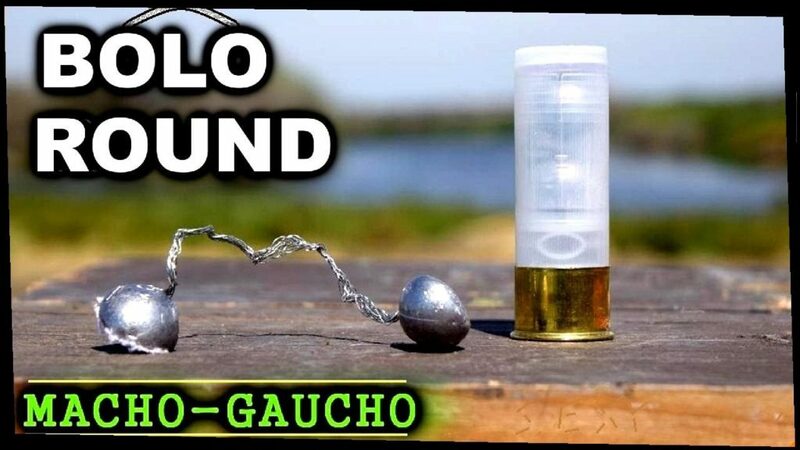 Check out this video of ballistic gel getting shot by one of these types of rounds. In one of the most unorthodox moves in ammo, the Wolf Hill Trading Company manufactured a hybrid shotgun shell that combined your average 12-gauge load with a .50 BMG/M17 tracer. What you get is an incendiary round that is designed to pack quite a punch, but how does it perform in the field? According to this video, the .50 BMG shotgun load had minimal success in the field. While the reasons why it didn’t work are up to debate, one thing is for certain: your mileage may vary. The cost of these rounds is just under $7 a shell, so the reliability is certainly something to consider before you buy a box. Now that we’ve looked at a handful of different kinds of exotic shotgun ammo, let’s talk practicality. Much of the exotic shotgun shells you find on the market fulfills a purpose that your regular slug or buckshot cannot – at least in a home defense situation. The more functional versions of unconventional shotgun shells are the non-lethal/less-lethal rounds like bean bags and rubber balls. But the flamethrowers, bolas, and combination pieces are fun to shoot, but I wouldn’t want to rely on one in a situation where I’m feeling threatened. As a matter of fact, I couldn’t see myself using non-lethal rounds for anything more than target practice either. If the situation occurred where I needed to protect myself, I’m going to feel much more comfortable with a buckshot or slug than I am with some rubber balls. With that said, there are a lot of cool types of exotic shotgun shells out there that you can target practice with. But remember, each state has different rules and regulations regarding exotic shotgun shells. Don’t just assume that they’re legal where you live, because a number of them are banned in states like California, Florida, and Illinois – among others. So make sure that you do your homework before you try to order some exotic ammo. Bonus: Check out this video of a shotgun shell that fires weaponized flashlights. Talk about a bright idea. What’s your favorite exotic shotgun round? Got a cool one we didn’t mention? Let us know in the comments below! And check out our Ammo & Reloading section for more! For the .50 Cal BMG Shotgun, I have to wonder if they are all really tracer rounds. Only about 1 in 5 in a .50 cal chain will be a tracer round. I realize the manufacturer should know this if that was their source, but it’s a funny coincidence, to say the least. Wow, it’s amazing that the shells can shoot flames that are 300 feet long. My brother is an independent filmmaker, and he needs to find creative ways to do special effects. Maybe he could look for dragon breath 12 gauge shells for sale.